Geninne “Gina” John is a Graphic/Multimedia Designer and Fine Artist with over 20 years of experience in industry and government. Specialties include illustrations, identity and coll’teral design, web design, photography and video, multimedia design and graphics for print or web. At a young age, this New Jersey native I honed her skills by duplicating found imagery into works of art. Later in life after formal education, she made graphic design her profession and as technology had advanced her talents have multiplied. She has a diverse set of skills that has allowed her to be successful in multiple mediums and creative in many forms of arts. 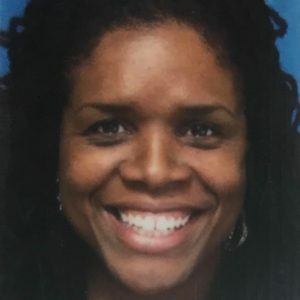 She attended Howard University, School of the Arts, and then earned a scholarship to Rutgers University, Mason Gross School of the Arts, in New Jersey. She graduated in 1997 with a Bachelor of Fine Arts degree in Graphic Design. After relocating to DC in 1998, she landed the position of Visual Information Specialist for the National Transportation Safety Board. As the senior graphic designer at NTSB she developed websites, advertising media and graphic illustrations of transportation accidents. This talented young lady has received numerous ‘w’rds for her creative presentations at NTSB. Geninne continues to experiment creativity in many areas of design and now focuses on costume design. Since September 2011, she has worked as a Visual Information Specialist for the US Food and Drug Administration in the Center for Drug Evaluation and Research.